The world of PowerPoint presentations has grown into a robust field of expertise. The days of stationary boring text on the screen are long gone. You now have the ability to create vibrant, dynamic presentations that are sure to bring a new perspective to your audience no matter your choice of topic. What does this mean for you? If you do not have animation in your PowerPoint projects, you can expect people to ignore you. 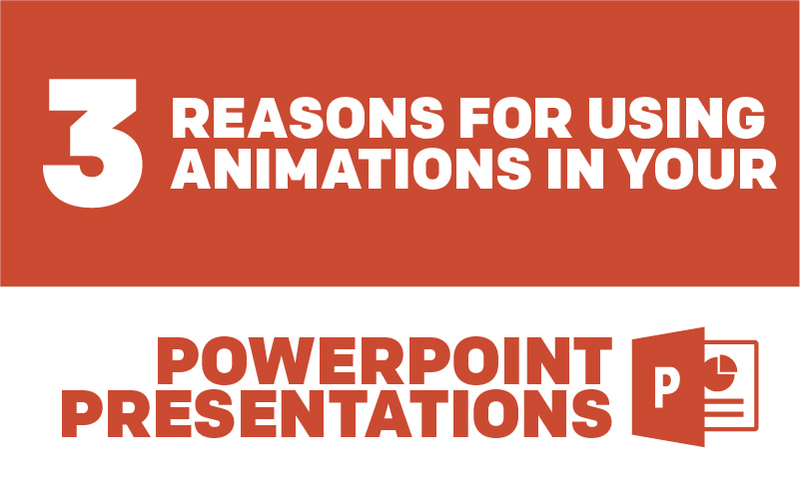 Here are three of the main benefits of using animations in your PowerPoint presentations. Great visuals are no longer a luxury. 10 years ago, if you had animations in any presentation, you were considered cutting-edge. If you do not have animation in your presentations today, you may run into C-level employees who are used to seeing it. They will immediately notice something missing, and although they may not say it to you, they will think of you as hopelessly behind. Needless to say, you will not get the business. If you invest in the right visuals, like our awesome animated PowerPoint graphics, decision-makers are more likely to view you as someone who believes in the business. This is the only way that you will ever convince someone to invest in your ideas besides yourself: you must let them know that you understand the marketplace and that you are ready to be in it at a competitive level. Visuals engage an audience more thoroughly than any other medium. If you are looking to convince or persuade an audience, you need to hold their attention long enough to get your point across. Marketing professionals now agree that the visual medium engages an audience more thoroughly than any other medium. First of all, people see themselves in visuals. No one likes to have an imagination anymore, especially when they need their brainpower to focus on the business aspects of what you are saying. Give people what they want without making them work for it. Show it to them in visual form so that they do not have to imagine it. Engaging visuals also leave room voiceovers and other sensory variances that can help to engage an audience. If you are looking keep the attention of a room full of people, you have a much better chance of doing this if you are engaging more than one sense at the same time. Visuals help you to say more in your presentation. If you are looking to keep the attention of people in the modern world, you need to get your point across in a lightning fast way. Most people do not have time to waste, and even if they do, they do not like to sit still for very long. The fact is that you can say more with an image than you can sometimes say in 10 pages of text, even more so if that image lends itself to animation. You also give your audience a break. They do not have to read 10 pages of text, which will obviously take longer than it does to see an animated slide depicting a process or idea. There are many other advantages to using animations in your presentations. These three points will hopefully get your wheels turning about how to tune your business presence. Do not shortcut when it comes to presenting your business, product, service or brand to the people who could make it happen for you. There is no such thing as being cost-effective in front of people who are used to spending money. However, realize that you do not have to spend as much money as you may think in order to upgrade your presentation with some of the best visuals on the market. Try our PowerPoint Graphics, cutout people, and stock library options today!